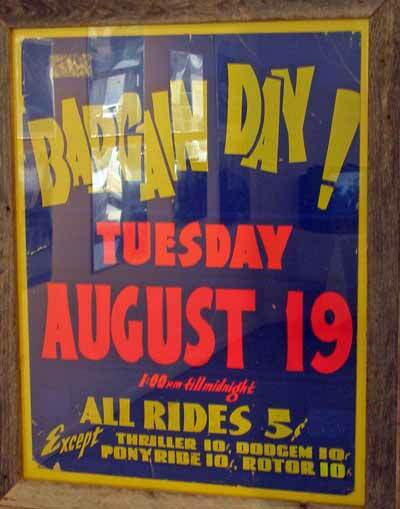 September 28, 1969 was a sad day for many in Cleveland, Northeast Ohio and beyond. 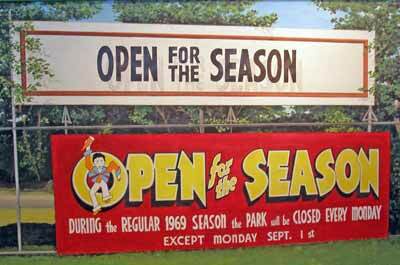 That is the day that Euclid Beach officially closed. 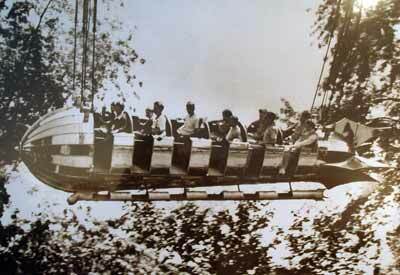 Since 1895, Euclid Beach was our own amusement park right here on Lake Erie. 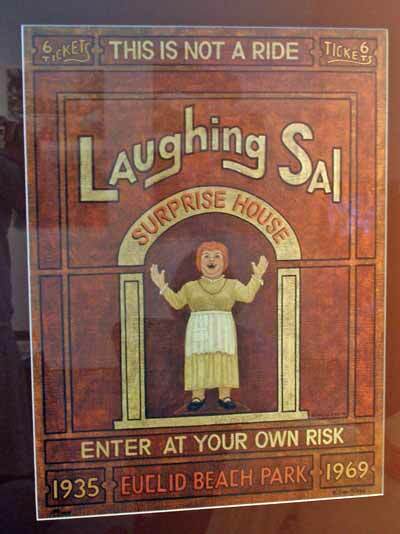 Do you remember Laughing Sal, the Thriller, the Flying Turns, the Wild Mouse, the Penny Arcade and of course the Euclid Beach Carousel? How about Humphrey popcorn balls and taffy? Of course there was the beach itself and the Dance Hall. 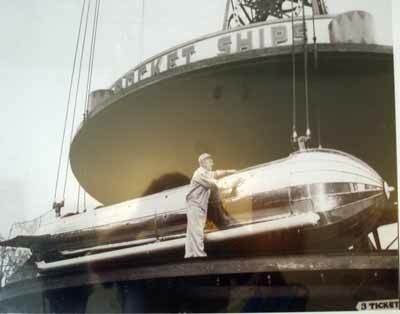 You can see a lot of pictures from Euclid Beach and of the Humphrey family (which is still making those popcorn balls and other goodies. 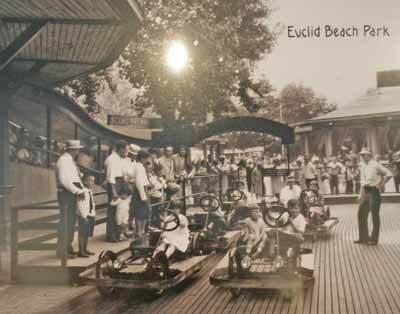 A local organization called Euclid Beach Park Now is dedicated to preserving the memories of Euclid Beach Amusement Park. 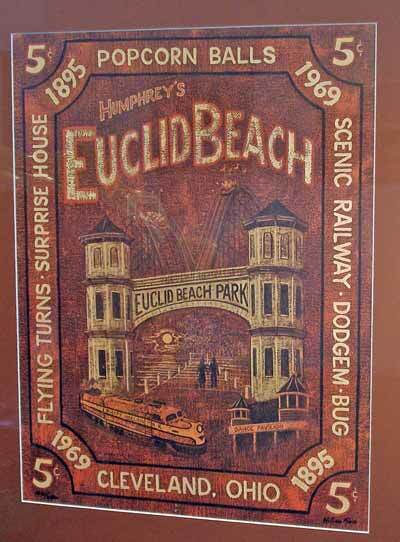 Euclid Beach Park Now has various events and projects that they work on and souvenir items for sale. Membership is a modest $12 per year. 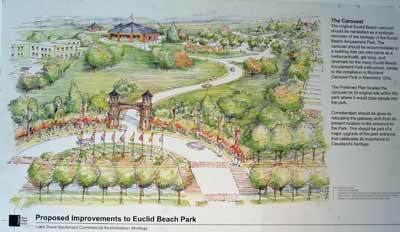 The current president of Euclid Beach Park Now is Elva Brodnick. 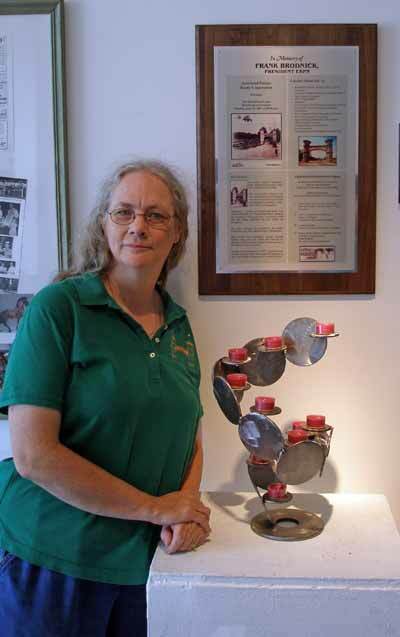 Elva took over after her husband Frank passed away. 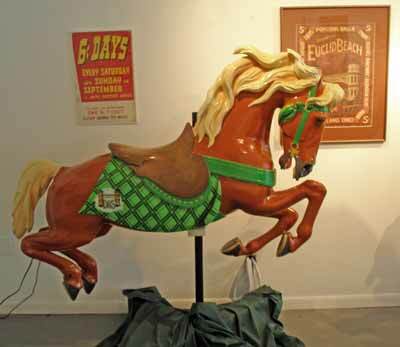 One of the main projects that Elva and the organization are continuing is the restoration of the beloved Euclid Beach Carousel. 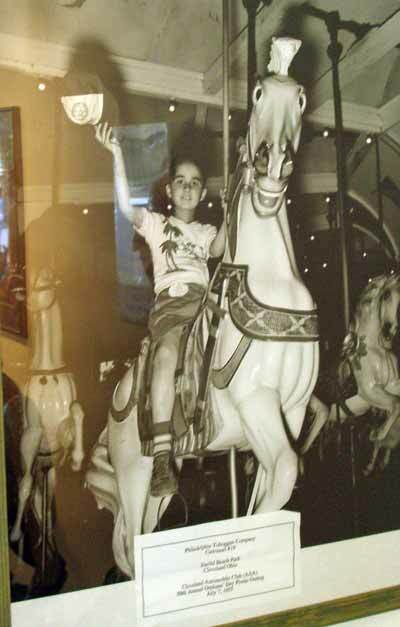 They hope to "permanently reinstall the Carrousel at its original location, where it will once again operate for the public's enjoyment." 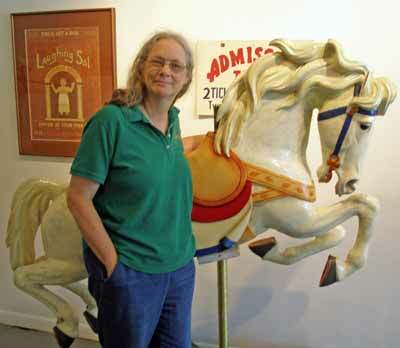 Some of the Carousel horses and other memorabilia were recently displayed at the Arts Collinwood Gallery as seen in the photos below. Or fill out the online form at the bottom of the page. Thank you. Euclid Beach Park - 6 cents tickets! Euclid Beach Park Bargain Day - Only 5 cents! 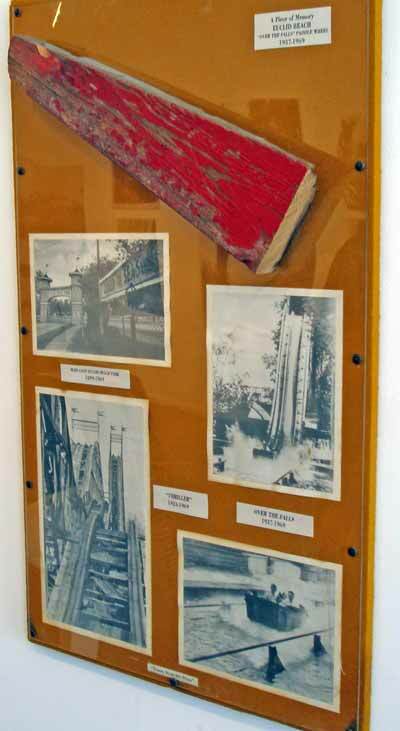 Do you remember driving these? 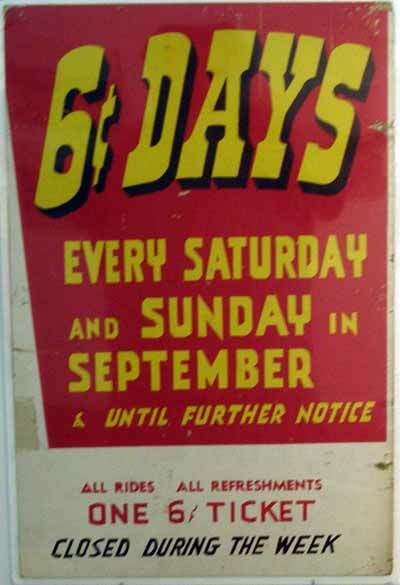 Euclid Beach poster - how about a 5 cent popcorn ball? Euclid Beach Park Now president Elva Brodnick by a tribute to the late Frank Brodnick who was a visionary behind the preservation of Euclid Beach Park.